When people look in the mirror, most focus on the size and shape of their noses without realizing a “weak chin” may contribute to the facial imbalance they see. 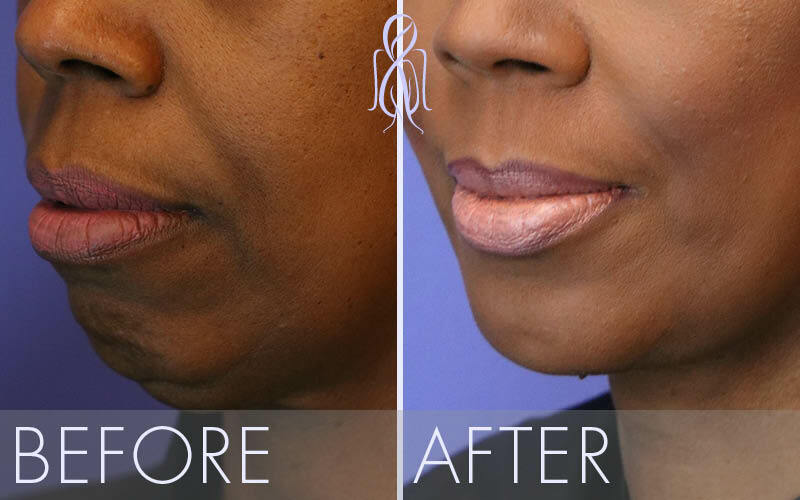 Chin Implants are quickly becoming a popular treatment to enhance patient’s beauty and create a more natural profile. Actually, changes in chin size or shape may enhance a profile as much as rhinoplasty. 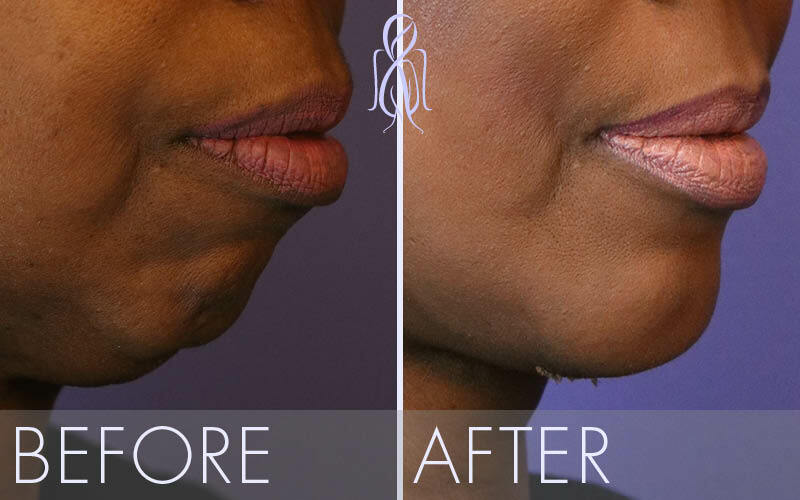 The procedure can also lengthen the appearance of the neck, thus improving the results of facelift procedures. Accordingly, to achieve facial balance and harmony, Dr. Elizabeth may recommend chin surgery in addition to nose or facelift surgery. 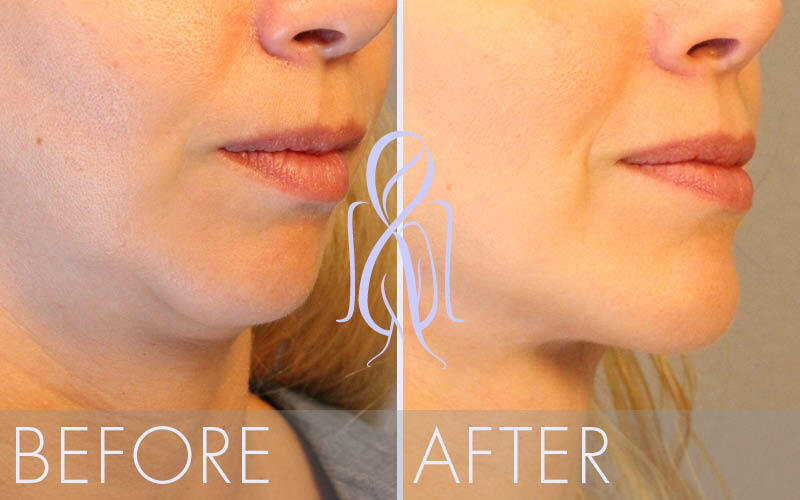 You may be a candidate for a chin implant if you feel your chin isn’t well defined or if you feel it doesn’t balance with the rest of your face. 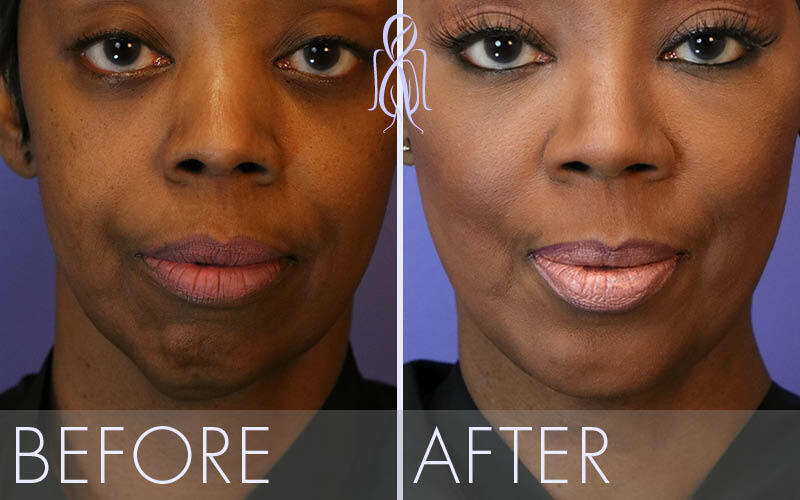 By scheduling a private consultation at Atlanta Face & Body, you can learn more. We’ll evaluate you and explain all your options in detail. Then you can decide what’s right for you. 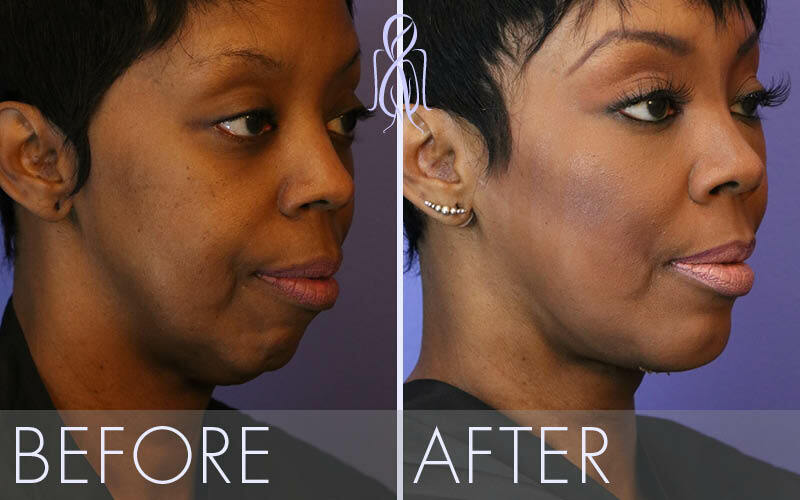 Dr. Elizabeth makes an incision in the natural crease line just under the chin, so that the scar will be virtually imperceptible. The implant, made of synthetic material that feels much like the natural tissue normally found in the chin, is available in a wide variety of sizes and shapes. 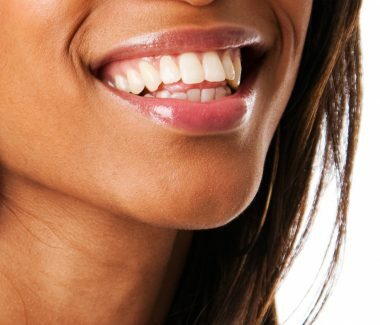 This allows custom fitting of the implant to perfectly suit your face. 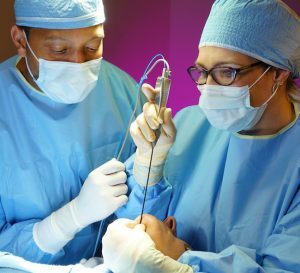 The length of time the procedure takes depends on several factors, but is less than an hour. You can expect some swelling, bruising and numbness for several weeks following surgery, but should be able to return to work in a few days. Elizabeth Whitaker, M.D., F.A.C.S., is a double-board certified facial plastic surgeon. During the recovery period, you’ll need to eat softer foods initially and protect your face from bumps and other injuries. 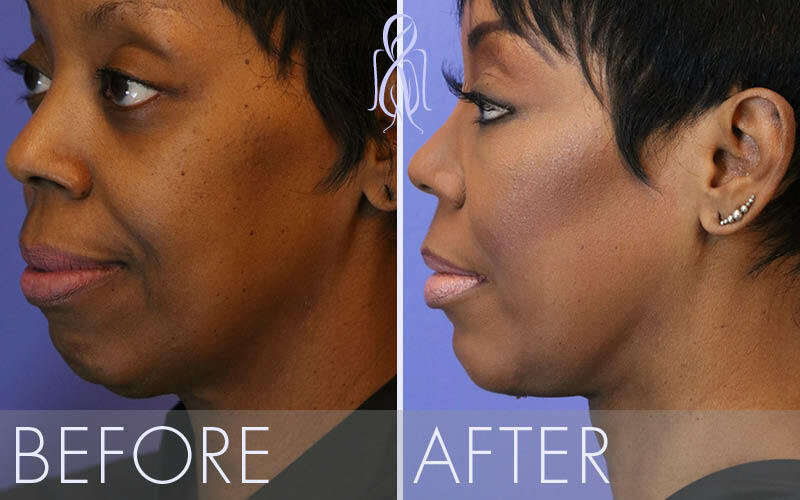 With the proper chin implant, you can change your look significantly, but naturally. Your face will look more balanced, and you may find you have much more confidence, both professionally and socially.